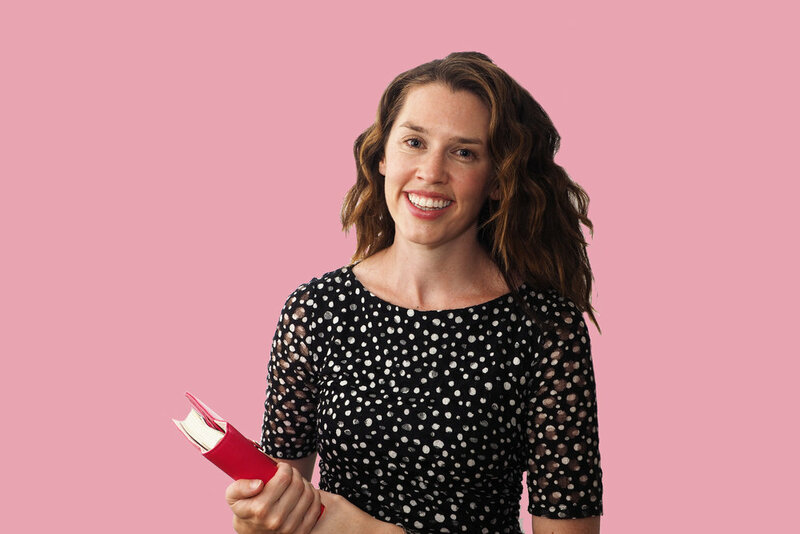 Today my family and I are leaving for a holiday to Noosa and I couldn't be more excited about spending some relaxing and fun time with my loved ones. This is actually our first family vacay outside of Melbourne! Throughout the year, we are lucky to have use of my parent's holiday house on the Great Ocean Road, so we spend a big chunk of our summer, and weekends where possible there. So, the challenge for me on this trip was packing for the 4 of us with a small amount of space. 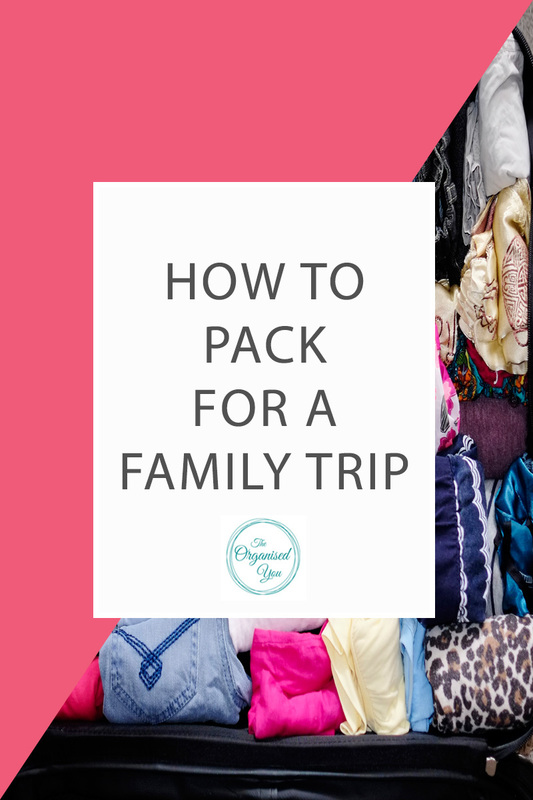 I'm going to show you how I managed to pack for our family trip using just one suitcase and my favourite packing technique! With only one check-in suitcase and 3 carry-ons to work with, this process did take a bit of forward thinking and planning. First up, I typed out a quick list with each family members name, and an 'extras' section. I then went into the 3 bedrooms and wrote down a quick list of items I needed to pack for each person e.g. dresses, shorts, bathers, hat, sandals etc. The extras section of the list included things like toys, books, chargers, laptop & ipad etc. I used this Master List in the next stage of the packing process and ticked items off as I laid them out. Next, I started pulling clothes out of the wardrobes that I planned to pack, and created separate piles for each family member. At this point, I wasn't worrying about whether there were too many items, but I did place them in loose categories e.g. shorts & pants, tops, dresses, t-shirts etc, so I could see at a glance which categories might need more/less items. Next came the culling process! 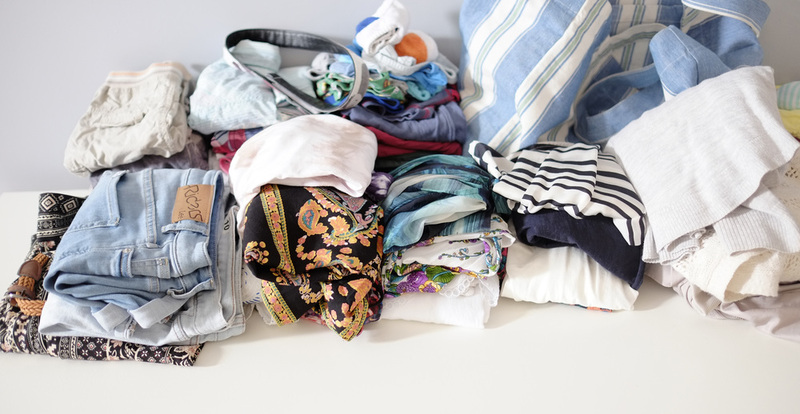 This was hard for me, as I always overpack, but because of the limited suitcase space, I was forced to be ruthless and really stick to the list. Plus I knew we'd be in our bathers most of the time anyway so we really didn't need to bring too much. Once I'd culled as much as possible, it was finally time to pack the suitcase! And then the kids clothes were rolled into the next layer. I tucked socks and underwear into the corners of the suitcase or in any spare space I could find. I placed our shoes inside plastic bags and packed them separately in one of the carry-ons. 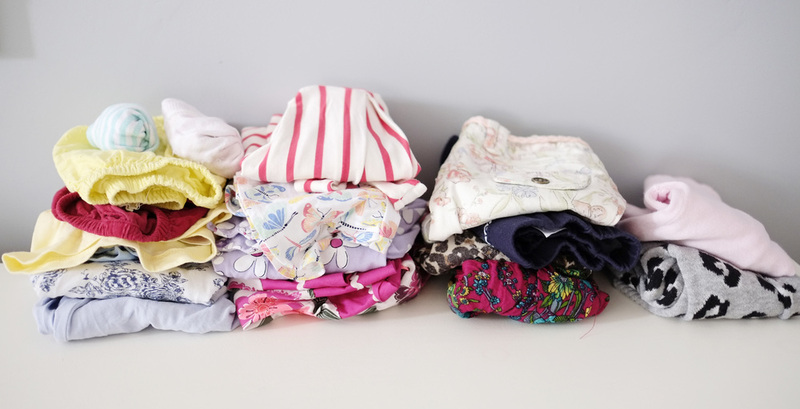 I always over-pack toiletries, but I tried my best to only take the bare minimum as I knew we'd be at the beach or pool most of the time, and this mama does not have time for make-up on the beach! So there we have it - clothes all packed in one large suitcase and 2 carry-ons filled with toys, books, and all the other necessities. Not a bad effort! 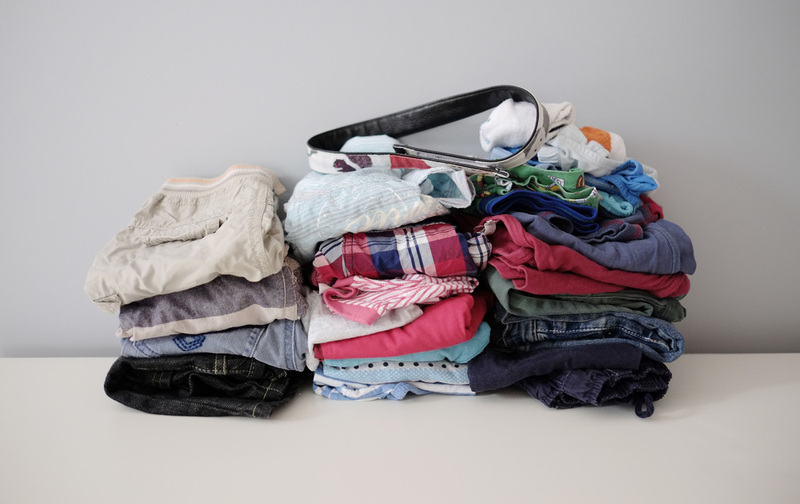 My final tip is to lay out the outfits you are all going to wear on the plane the night before, so you're not running around the morning of departure! 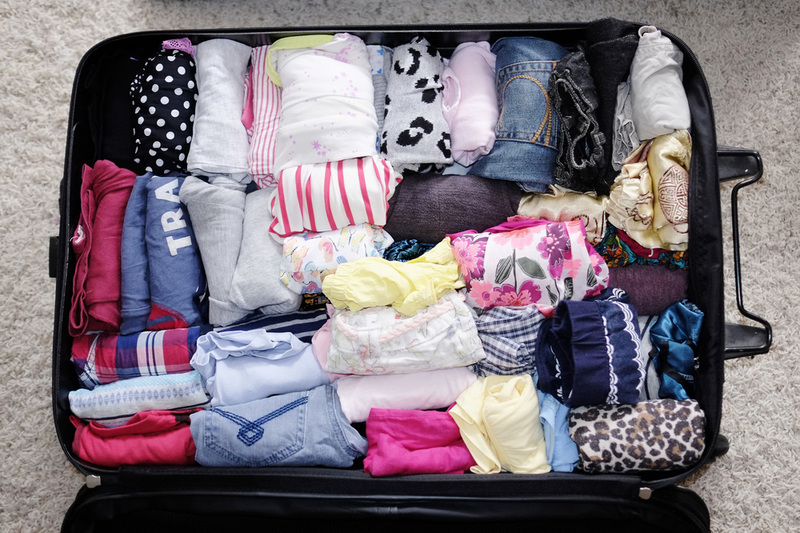 Do you have any tips to share for packing a suitcase? Are you an over-packer like me, or are you good at being ruthless and only packing the bare minimum?